Typically we refer the plain, flat surface of our room or office as a ceiling. But wait, there is much more than this! Nowadays, ceilings are available in numerous patterns to match with the theme and novelty of the room. Equally important as wood-crafting and other décor processes, the ceiling can add a unique charm to your room’s appearance. 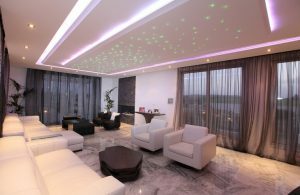 Depending on the theme and design layout of the house, you can install separate ceilings for dining, kitchen, washroom and living rooms. Just like other accessories, the ceiling concept is the center of attention among architects and builders. Therefore, a lot of research is being done on the ceiling in a context of patterns, size, colors and textures. 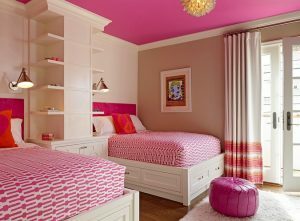 This article will help to give you a deeper glance at the types and make you choose your desired ceiling more conveniently without any hassle. A perfect ceiling is dependent on certain factors: available space, the theme of the house and surroundings walls. As we discussed above, the market is flooded with trending ceilings- you can either do online research or take assistance from some professional. We will discuss some of the modern ceiling designs that can add allure to your home. Sometimes referred as a smooth ceiling, the conventional ceiling is one of the most used designs. The reason behind this is that it is simple, easy to make and flat just like a wall. Thus, it is cheap. However, you can add texture to it to add a flavor to it! This ceiling consists of about one or two inches of wood covering the boundaries of a conventional ceiling. In easier tone, you can say it covered with wood pieces at edges. Depending on the room type and size, several layers of wood pieces can be piled on top of each other to make it look vibrant. In this type of ceiling, the center point is higher than the surrounding walls. The ceiling rise from the walls at a slope to meet at the center of the room. As a result, it increases the overall volume of the room by raising the height, giving the feel of larger, luxurious room. Cathedral ceiling is mostly installed in master bathrooms, bedrooms, and dining. 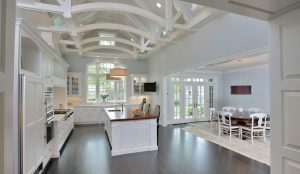 The tray ceiling is the luxurious part of a home. It starts as parallel to the roof at a certain height from the edges and then takes turns in upward direction. It resembles tray as the roof is flat at center and emerges outwards at the edges. 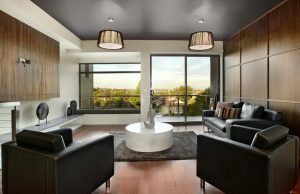 Darker shades on the tray ceiling give dramatic as well as soothing effect, which is best for gathering places like entryways and dining rooms. Cove ceiling is another excellent choice for your room’s renovation. 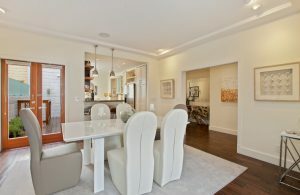 This is designed to give an improved visual appearance to the intersecting part of wall and ceiling. It usually consists of a concave curve between the ceiling and top of the wall. In addition to this, it is commonly painted shiny white to give a mirror illusion. These are usually found in long corridors and hallways. Since its construction is difficult and requires expert hands, cove ceiling is less often used. Is low budget a hindrance in renovating your room? No problem! Beam ceiling is the solution to your problem. Beam ceiling comprise of a substance, mostly wood, added on top of the conventional ceiling. Along with adding vivid appearance and additional color pattern, it also contributes to strengthening the roof. With the ceiling decoration, you can add a breathtaking difference to your room. A vast variety is available in varying patterns, themes, and styles. One could easily choose a suitable ceiling style according to their needs and budget. So what are you waiting for? Rush to your nearest store or order online to get your hands on one of the eye-catchy designs!